Andrea Coombes, Ways & Means columnist for MarketWatch, recently took on the task of identifying “hidden pitfalls” of Health Savings Accounts, which are medical savings accounts with tax advantages. For her piece, she spoke with John O. McManus to learn what happens to HSAs when the accountholder passes away. Your entire HSA account becomes taxable when you die, unless you’ve named your spouse as beneficiary, in which case your account becomes your spouse’s HSA. So, from an estate planning perspective, what’s the best way to handle these accounts, assuming you’re older and have a hefty sum stashed? “Our view is postpone withdrawals from accounts that are compounding tax-free,” John O. McManus, founder of McManus & Associates, a trusts and estates law firm in New York and New Providence, N.J. Once you’re over 65, you can withdraw money without the 20% penalty faced by those under 65. (If you spend on non-medical costs, you’ll owe income tax, which is the same as withdrawing from a traditional IRA, but health accounts don’t have required minimum distributions, so you have more control.) Letting the money grow is valuable, McManus says, given that people are living into their 90s and nursing-home costs can run “$100,000 just for living quarters and medical assistance.” If you bequeath the account to a non-spouse beneficiary, he or she will owe income tax on its fair market value. To read Coombes’ full column, “10 hidden pitfalls of health savings accounts,” click here. For guidance on utilization of investment and savings vehicles as part of your estate plan, give McManus & Associates a call at 908-898-0100. Intra-family loans can provide tax benefits to both lenders and borrowers if properly structured. JOHN O. McMANUS is a top AV-rated estate planning attorney and the founding principal of TriState Area-based McManus & Associates (www.mcmanuslegal.com). When it comes to wealth management, sometimes the gray area is the sweet spot. There are often legitimate opportunities for growing and preserving assets beyond the welldefined, black-and-white tax rules. Identifying these legal loopholes can greatly benefit a client and his or her loved ones, without breaking any laws. Gifting as a loan, or intra-family loans, is an estate planning technique which, under rules set forth in the Code, allows a significant amount of money to be transferred to a family member with a customized repayment plan—sans the gift tax implications. Also, there are no concrete limitations on the family members who can be borrowers or the trusts for their benefit. With carefully structured lending— through a promissory note, for example—the borrower is able to take advantage of interest rates below those charged by commercial lenders, as the government allows relatives to pay a very low, “safe harbor” interest rate. In a parent-child relationship, the child then pays back the loan over time. The only thing certain used to be death and taxes, but now the taxes are coming into question. There is much uncertainty about particular aspects of the Republican tax proposal—including a replacement tax on the wealthy—and there is already concern about the likely impermanence of any new legislation. These factors highlight the importance of flexibility in preparing an estate plan and proceeding with wealth transfers suited to the current political and economic circumstances. Even if tax legislation passes, it’s likely that the rules of the game will continue to change, perhaps frequently, going forward. It’s essential to stay in the know regarding the potential impact of new laws, in addition to tools currently available to protect your wealth. Check out the full article for more details on McManus’ list of “10 Must-Do Estate Planning Strategies” that advisors can use while waiting for decisive legislative action. How to proceed until Congress takes action. The election of Donald J. Trump to the presidency and Republican control of both houses of Congress make estate tax reform extremely probable in the next two years. However, given the new administration’s other proclaimed priorities, including the repeal of Obamacare, minimization of illegal immigration, increases in defense spending and infrastructure improvements, there are likely several months before Congress turns its attention to a tax system overhaul. 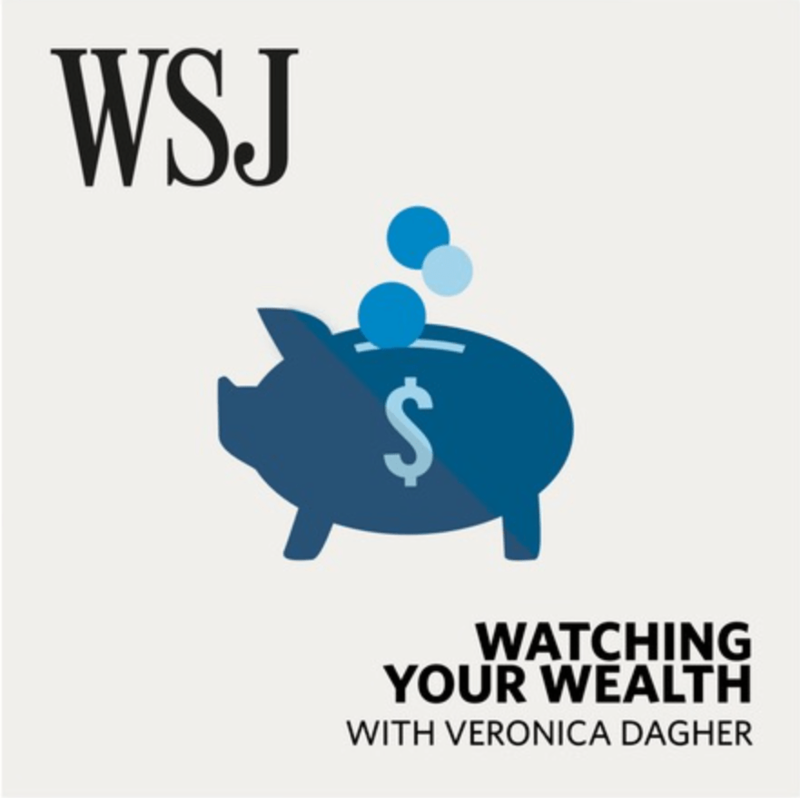 In the Wall Street Journal’s newest “Watching Your Wealth” podcast, Veronica Dagher interviews McManus & Associates Founding Principal John O. McManus on red flags that warn you your adult kids are using you for your money and/or are trying to get a bigger share of your estate. In the episode, Veronica does a “fun estate planning quiz” with John, as well, and asks him to share the best and worst estate planning advice he’s ever heard, what an estate can and can’t buy, and what he would do with $1M after tax if he inherited it. To set up a time to discuss the family dynamics impacting your estate plan with the McManus & Associates team, give us a call at 908-898-0100. Are Your Adult Children Using You For Your Money? McManus & Associates’ John McManus discusses the red flags your children may be taking advantage of you financially and how to better communicate with them about money. Execute and shelve is not an effective approach to estate planning. McManus & Associates, a top-rated estate planning law firm celebrating 25 years of success, today revealed the “Top 10 Ways to Solidify an Estate Plan Post-Execution,” a recent installment in its Educational Focus Series. During a conference call with clients, the firm’s Founding Principal and AV-rated Attorney John O. McManus shared tips on how to build a solid and complete Estate Plan to protect and nurture your family today and for generations to come. “To make your estate plan solid, there are numerous issues to consider and actions to be taken that extend far beyond drafting documents,” commented McManus. “Building a foundation through strategic planning and establishing the framework for one’s legacy are important steps, but until all the core elements of the structure are in place, there’s more work to do. “Today, in the Trump Era, with all the uncertainty about where the estate tax and income tax regimes converge and diverge, it is critical to ensure that core protection work is completed as we batten down the hatches, protecting for the storm of changes most certainly on the horizon. To ignore fully completing this core work as we await changes to more complex tax issues is not the most conservative approach. In fact, some have said that to neglect core planning is tantamount to being reckless with one’s loved ones.